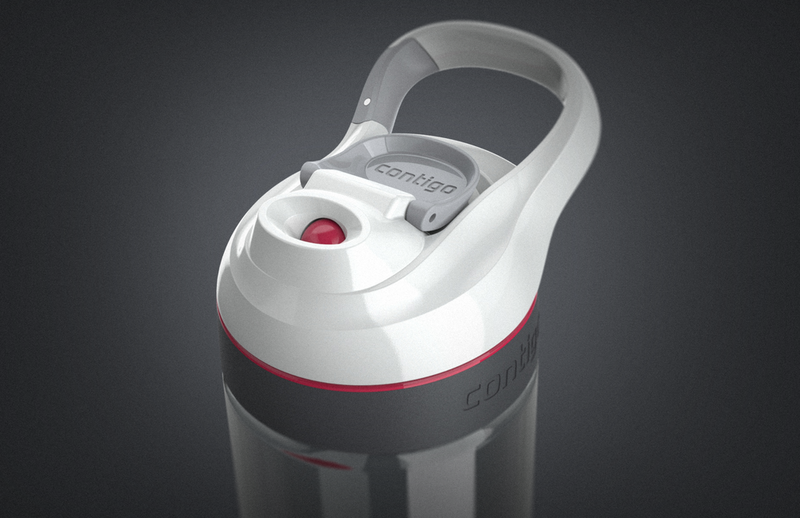 The Cortland AUTOSEAL® water bottle was designed in the new Contigo Hydration form language developed at the time. Using the same flowing ribbon forms Cortland looks like a sister to the Ashland AUTOSPOUT® bottle. 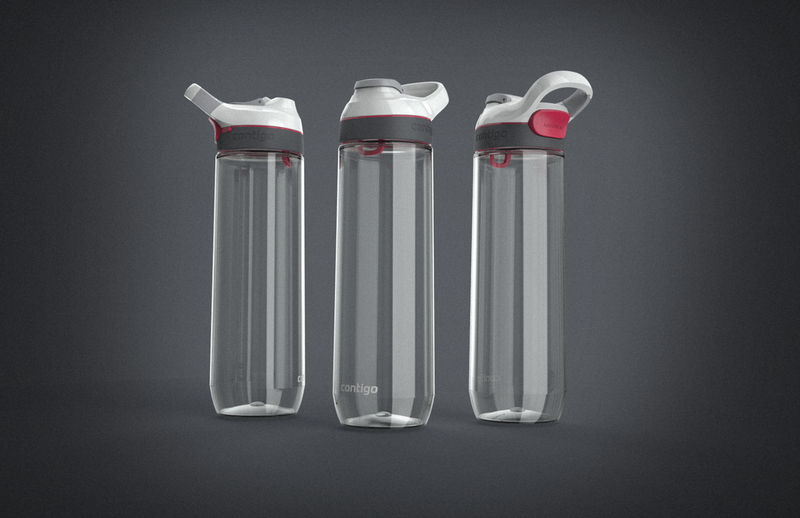 is the third generation of AutoSeal water bottles. Features like a button lock and drop down mechanism were added to maintain two steps ahead of our competition.